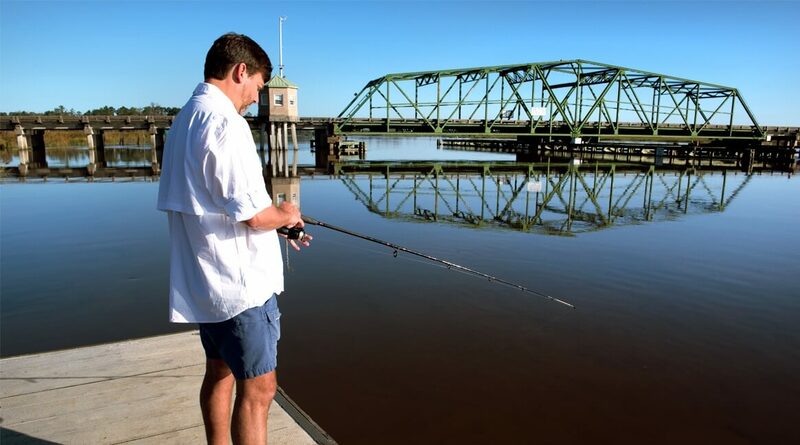 Fishing is allowed year-round in the creeks and rivers throughout the Savannah National Wildlife Refuge, and within the refuge’s water impoundment system between March 1 and November 30. Bank fishing from the Laurel Hill Wildlife Drive is permitted all year. Download the Fishing Regulations Brochure for more information. Hunting is also permitted on the refuge, although certain areas are closed to hunting. Download the 2016-2017 Savannah Coastal Refuges Hunt Schedule here. The archery hunting season for white-tailed deer and feral hogs extends from October 1- 31 each year. Only bows are authorized for deer/hog hunting. Crossbows are prohibited. The firearm season for deer extends from November 1- 30, and November 1-December 31 for squirrel. Feral hogs can be hunted in March, wild turkeys in April. Please refer to the hunt schedule for exact dates. Designated areas are open to mobility-impaired hunters for a quota hunt in November. Waterfowl hunting is permitted in designated areas during state (Georgia and South Carolina) seasons. Hunters are encouraged to use dogs as retrievers, but they must be controlled at all times. Decoys and other personal property must be removed from the Refuge daily. Hunting will not be permitted within 100 yards of Georgia Highway 25 and South Carolina Highway 170; in or on Middle and Steamboat Rivers and Houstown Cut; nor closer than 50 yards of the shoreline of these waterways. A portion of the refuge near Port Wentworth in Georgia is set aside for youth hunts at various times of the year. Alligator hunting, though currently allowed in Georgia, is prohibited within refuge boundaries.